Remove a set from any cane rod. 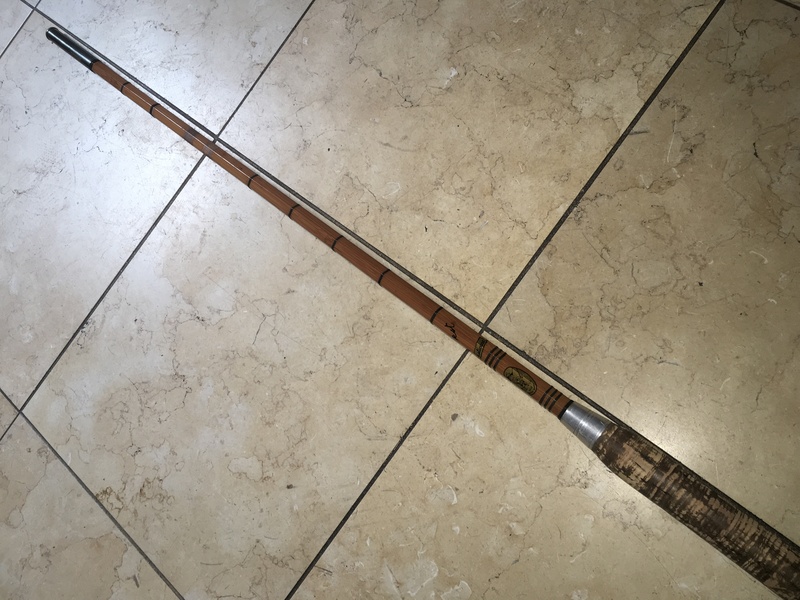 I bought this Marco Test 3 piece built cane rod from Ted (Lea Dweller) purely for spares as the bottom section had a 1" set from the logo through to the ferrule. If I threw it away it would have come sailing back, the boomerang effect. Anyone who has one of these rods will know the bottom section is quite a chunky solid piece of kit. I have previously removed sets from cane but only when they have been completely stripped of finish. This was a case of in for a penny, what did I have to lose. 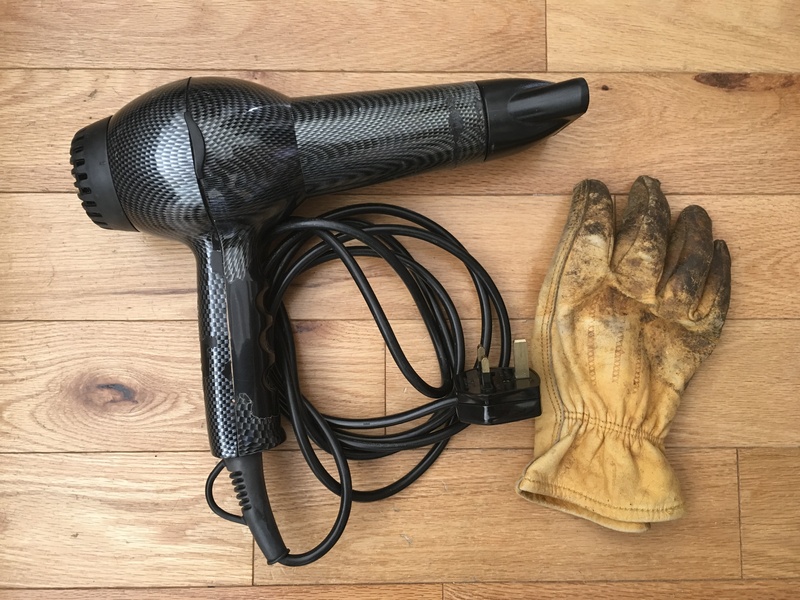 I used my wife's old professional hair dryer and a leather glove. Applying the full heat while rotating the section until it is too hot to handle, I used the glove, you have to be brave, and give it some, as they say in the East End of the City. Allow to cool naturally and voila another rod saved from the scrap heap. The results are amazing, no need to strip the rod down just do it to any finish and it only took 5 minutes. The rod is now perfectly straight and the finish has not been effected by the heat. Re: Remove a set from any cane rod. Well done John, I cannot remember what the rest of he rod was like, is it all good now? Hi Ted, it is the rod with the spare tip section. The original is short. Looks like a lovely job John. I wonder how often the words "give it some" have been combined with "hair dryer", even in the East End of the City! Brilliant, thanks for the tip. Tried it out yesterday on a rod with several sets in the mid section and it worked well. P.S had to wait until Mrs Cane popped out for a while as she might have objected. What the eye doesn't see...!